In one of the best-telegraphed moves in history, the Federal Reserve Open Market Committee has voted to raise the Federal Funds interest rate by 0.25%. The tiny rate hike is significant only because the Fed has kept the rate at 0% since 2008, part of its effort to keep the economy on life support in the wake of the financial crisis and Great Recession. After several false starts – Wall Street thought it would happen in September – there was little doubt the Fed would move at the December meeting. The only question was whether it should raise rates. There are plenty of economists who argued against it. The reason? The economy is still weak and inflation is nowhere in sight. In the past the Fed has raised rates to dampen inflation and cool an overheating economy. That's clearly not the environment now. So why is the Fed doing it? Some have speculated that, as bizarre as this might sound, the Fed wants higher rates so it can lower them again if the economy begins to falter. Former Obama Administration economic advisor Larry Summers has argued on his blog that raising rates now, just for the sake of raising rates, is a serious mistake, especially if it slows an already slow economy. In truth, whether this rate hike shoves the economy into a recession is by far the biggest potential impact it will have on consumers. While it is true that credit card rates are often influenced by the Federal Fund Rate, a quarter percent rise is unlikely to be noticed much if you're already paying about 15% on your balance. And yes, if you have a savings account at your local bank, you might see a little more interest – but a tiny bit. Consumers who own stocks and bonds will also feel the impact. In anticipation of the Fed rate hike, the value of “junk,” or high-risk bonds, has plunged in recent weeks. Some think stocks are poised for a sell-off over the next few months. A Bank of America poll of fund managers found 58% expect the Fed to raise rates three more times in the coming 12 months. A net 43% of regional fund managers expect China’s economy to weaken in 2016, up from a net 4% last month. 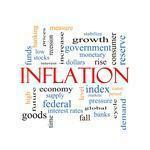 The U.S. inflation rate, as measured by the Consumer Price Index (CPI) has been tame for years. In fact, Federal Reserve chairmen going back to Alan Greenspan have worried about deflation (falling prices) as much or more than they have about rising prices. But strangely enough, while inflation has been relatively flat, the real cost of living for the average consumer has been going up. How can this be? For a couple of months now we consumers have watched with wide smiles on our faces as the price of gasoline has fallen. It fell below $3.30 a gallon, then $3. By mid-December it was below $2.50 a gallon – and even well below $2 in the cheapest states. It was a wonderful thing. For consumers. The financial community, however, is terrified. Why? Because the collapse of oil prices poses a systemic risk, albeit a smaller one, just as the collapse in home prices in 2009 did. When home prices collapsed their value as assets evaporated. On an individual basis, many homeowners saw their equity disappear. They might have gone from having $100,000 in home equity to being “under water,” owing more than their homes were worth. Some people who had owned their homes for a decade or longer or owed very little on their original mortgage decided to take advantage of surging home valuations, refinancing and taking out tens of thousands of dollars in equity. Many lost their homes when home values sank. The systemic risk to the economy, however, came from bundling these mortgages into securities and selling them to investors – investors who largely borrowed the money from banks to buy them. When home values fell and many went into foreclosure, these assets became “toxic.” Other investors wouldn't touch them because it was impossible to tell which bundles contained mortgages in default. The collapse in oil prices has been similar, but so far, on a smaller scale. And while both consumers and financial institutions were affected by the housing collapse, consumers have actually benefited from oil's collapse. How did all this happen? In the past 5 years American oil production has surged, largely because of the shale revolution – and cheap money. With historically low interest rates tiny oil companies could borrow huge amounts of capital to expand their drilling operations. Banks were only too willing to lend the money since oil was $100 a barrel or more and no one could imagine it going down – just like no one could imagine home prices falling in 2008. Rob Raymond of RCH Energy made this comparison last month in an appearance on CNBC. And just maybe, so are the banks that loaned them money and the investors who purchased their bonds. But where the housing crisis crushed millions of consumers who bought or refinanced their homes at the wrong time, consumers are mostly winners with oil's collapse – at least, so far. And they are starting to figure out they have been paying inflated prices for fuel for years. Because more and more analysts are beginning to refer to oil as “a bubble” that has finally popped. When a commodity is in a bubble, it's price is not determined by the costs of producing it but what people are willing to pay for it. We've seen this movie before. There was a tech-fueled stock market bubble in the late 1990s. There was a housing bubble in the early to mid 2000s. Since 2005, there has been an oil bubble. But the speculators who drove up the price of oil are now not willing to pay very much, and in some cases have profited by “shorting” the oil market, betting prices will go even lower, basing their decision on the belief the world is producing more oil than it can consume. As long as it doesn't bring down the economy, this is good news for consumers. The cost of living moved moderately higher in June, with gasoline, food and shelter prices all contributing to the increase. 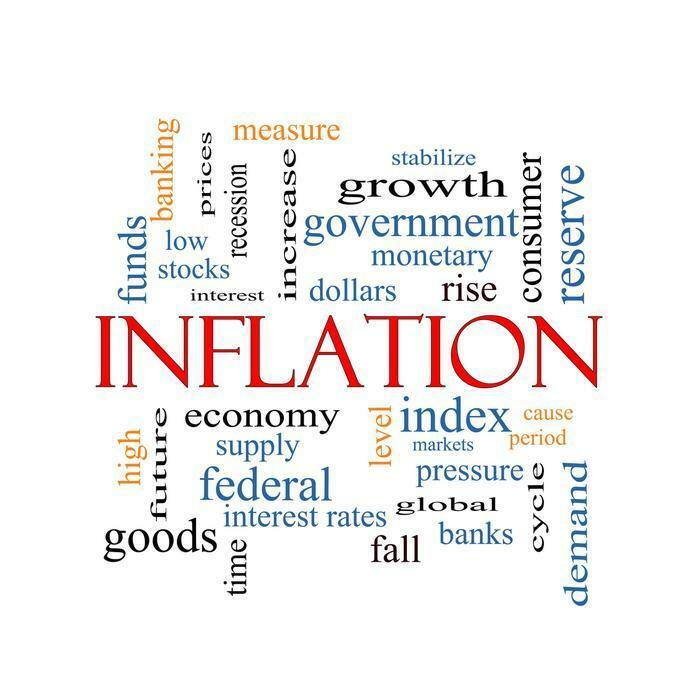 According to the Bureau of Labor Statistics, the Consumer Price Index (CPI) rose a seasonally adjusted 0.3% last month and over the last 12 months is up a miniscule 0.1%. 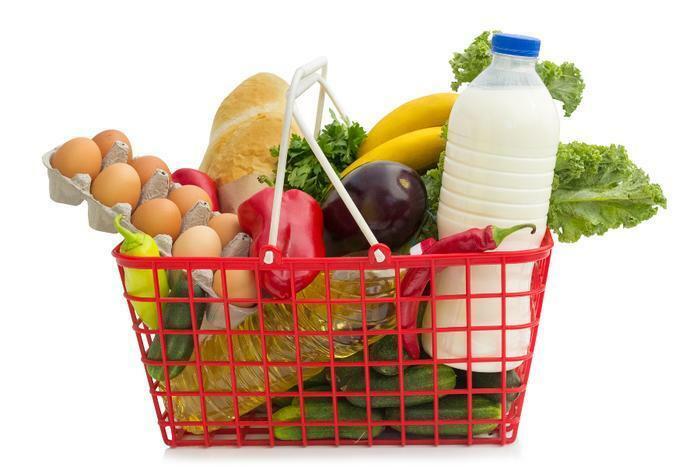 Food prices, which were unchanged in April and May, rose 0.3% last month. The food at home category -- things you buy at a grocery store -- jumped 0.4% after declining in each of the 3 previous months. Over three-fourths of that increase came in the price of eggs, which rose 18.3% -- the largest increase since August 1973. Also posting gains were for meats, poultry, fish, and eggs (+1.4%), and cereal and bakery products (+0.5%). In contrast, prices for dairy and related products fell for the sixth consecutive month (-0.6%), and the fruits and as did the cost of vegetables (-0.4%. Food at home costs are up 1.0% over the last 12 months. Energy prices were up 1.7% following a surge of 4.3% in May, due largely to an advance of 3.4% in gasoline costs. Electricity prices rose 0.2%, and natural gas prices advanced 0.3% -- the first increase since December. Fuel oil was the only major energy component index to decline, falling 1.9%. The core rate of inflation -- all items excluding the volatile food and energy categories -- rose 0.2% in June. The cost of shelter, which rose 0.3%, accounted for over two-thirds of the increase. Other increases include prices for recreation, airline fares, personal care, tobacco, and new vehicles. Those advances more than offset declines in the prices of medical care, household furnishings and operations, used cars and trucks, and apparel. The core rate of inflation is up 1.8% over the past 12 months. The complete CPI report is available on the Labor Department website. 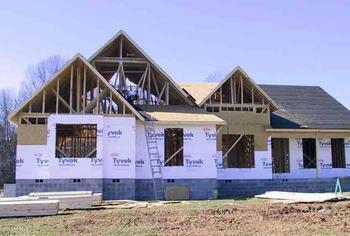 A surge in new-home construction in June recovered nearly all the losses suffered a month earlier. The Census Bureau and the Department of Housing and Urban Development report privately-owned housing shot up 9.8% last month to a seasonally adjusted annual rate of 1,174,000 -- 26.6% above the same month a year ago. Construction of single-family housing was up 0,9% to an annual rate of 685,000, while the rate for units in buildings with 5 units or more was 476,000 -- up 116,000 from May. The outlook for construction in the months ahead improved as well. Privately-owned housing units authorized by building permits were at a seasonally adjusted annual rate of 1,343,000 in June -- 7.4% from May. 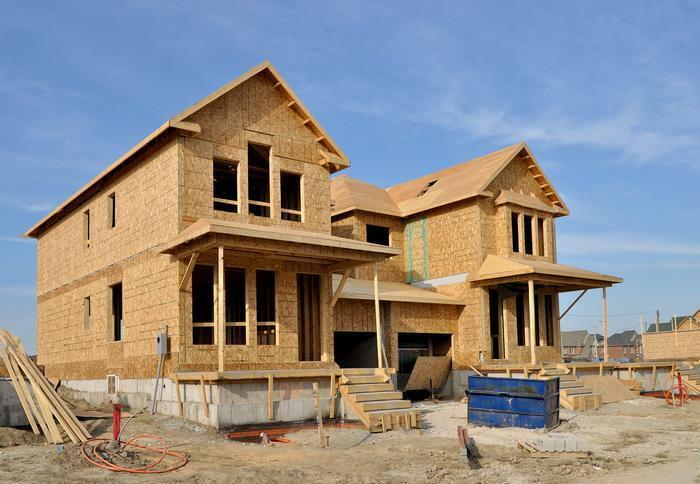 Permits for single-family construction rose 0.9% to a rate of 687,000; authorizations of units in buildings with 5 units or more were at a rate of 621,000 -- a gain of 86,000 from May. Stifel Fixed Income Chief Economist Lindsey Piegza says the housing market continues to take steps in the right direction. But, she adds, "growth remains far from robust; as we have seen in the recent decline in retail sales, consumers continue to struggle to afford purchases -- particularly large ticket items -- amid stagnant income growth. Still, with the threat of rising rates on the near horizon, some homeowners are jumping in to lock in low rates." The full report on housing construction is available on the Commerce Department website. 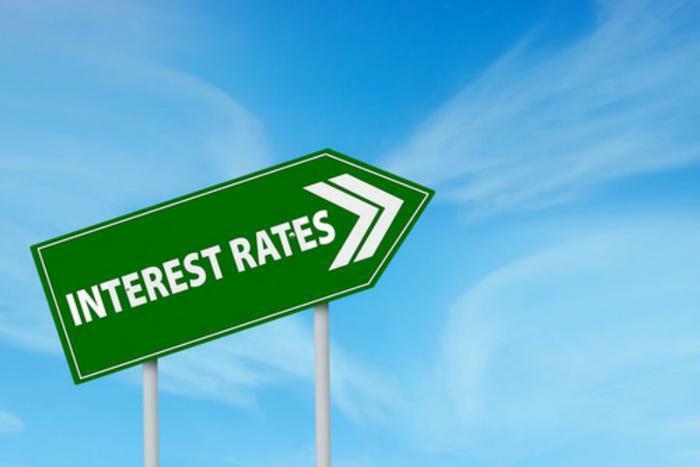 Despite a low official unemployment rate and steady economic improvement, the Federal Reserve Open Market Committee (Fed) has decided to leave U.S. interest rates at 0%. The Fed said economic conditions in the U.S. are improving but cited concern about economic weakness in developing economies. A number of international economists had urged the Fed not to raise U.S. interest rates, saying the move could have a harmful effect on other economies. Foreign nations and corporations have borrowed billions of dollars and a rise in U.S. rates would place added costs on those loans. Wall Street reacted with relief, since cheap money supports current stock valuations, which some economists think are too high. The housing industry is also relieved. Jonathan Smoke, chief economist at Realtor.com, says a Fed rate hike would have signaled the end of historically low mortgage rates and would have added about 6% to the cost of the average new mortgage. Because of the Fed's decision, consumers should find mortgage rates, as well as rates on car loans, little changed. The Fed lowered interest rates to 0% in the wake of the 2008 financial crisis and has not raised them since. It's next opportunity will come at it's October meeting. At that time, the will-it-or-won't-it guessing game will begin again. Higher costs for housing and energy products sent prices on the consumer level slightly higher in May. The cost of housing, which rose 0.3% accounted for more than half of the increase in May. Energy prices were up modes modestly, with gasoline prices unchanged but increases showing up in the cost of electricity and natural gas. Higher prices for airline fares, recreation and apparel also contributed to the rise. Food prices were lower in May index, however, turned down in May, with the food at home index falling 0.3 percent. Nonalcoholic beverages, dairy and related products, and cereals and bakery products posted declines, while meats, poultry, fish and eggs, which increased in April, were was unchanged in May. The only increase was for fruits and vegetables (0.4%) after a 1.4% decline in April. The “core rate” of inflation, which strips out the volatile food and energy sectors, was up 0.2%. The full CPI report is available at the Bureau of Labor Statistics website. Home builders were hard at work last month as housing starts jumped 6.8% in May to a seasonally adjusted annual rate of 914,000. That's 28.6% the rate of 711,000 a year ago. Ground was broken for single-family homes at a rate of 599,000 in May -- 0.3% above the revised April figure of 597,000. The May rate for units in buildings with five units or more was 306,000. Looking ahead, meanwhile. Things aren't quite so rosy. Building permits for privately-owned housing units, an indicator of builders' plans for construction in the months ahead, totaled 974,000 -- down 3.1% from the revised April rate of 1,005,000. Still, that's 20.8% above the May 2012 estimate of 806,000. Permits for single-family homes were up 1.3% to 622,000. Authorizations of units in buildings with five units or more were at a rate of 325,000 in May. Suddenly, it seems everyone is talking about the middle class, that group of Americans who once earned a comfortable living, lived in a comfortable home and pursued the American Dream. Today there's concern that the middle class is shrinking, bookended by an affluent elite and the struggling poor. Rising debt and falling incomes, it seems, are taking their toll. Media on both the left and the right – from Breitbart.com to the Huffington Post, have reported the same dismal statistic – nearly three-quarters of the jobs created so far in 2013 have been part-time jobs. While President Obama vacationed on upscale Martha's Vineyard last week, the Washington Post reported on the island's residents who are served by the community's two food banks. “We’re losing our middle class and we’re losing our young people because the jobs aren’t there and because of the cost of living and housing,” Peter Temple, executive director of Martha’s Vineyard Donors Collaborative, which encourages island philanthropy, told the Post. So why does the American middle class continue to struggle financially? Joseph Nathan Cohen, a Queens College sociologist, says unrestrained household spending has damaged consumer finances, despite the fact that globalization and technological innovation have caused consumer prices to fall. But the increase in household spending is not some hedonistic splurge, he says. He cites statistics that show spending on goods that fulfill pleasure, self-esteem, or social status needs have generally been falling, including personal care items, apparel, home furnishings, and automobiles. So what is the middle class over-spending on? Four product categories, Cohen says. 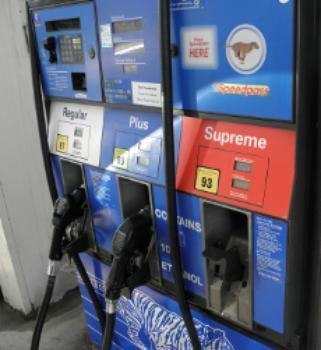 Health care, education, housing, and commuting costs, the last item primarily being gasoline. Let's take a closer look at Cohen's “big four” factors, starting with health care. The cost of medical care keeps rising two ways, with only one being directly felt by consumers. Consumers who have a medical benefits policy don't pay the huge costs of their health care – the benefits provider, or insurance company, does. What the consumer pays are the premiums for the policy, and those premiums are rapidly climbing. According to the latest Milliman Medical Index (MMI), a family of four covered through a typical employer health plan will pay out $9,144 this year in premiums and out-of-pocket expenses. It increased over six percent 2012 to 2013 and over seven percent from 2011 to 2012. Consumers not covered by an employer's plan have to pay the full premium. However, with the start of the Affordable Care Act in January, many lower income families and individuals will qualify for government subsidies to help pay the premiums. But many middle class families won't qualify and could face higher costs. Education costs also continue to climb, making it difficult for many middle class families to send their children to college without going into debt. Ironically, the Great Recession and its resulting unemployment spurred many people to go back to school to better their chances of finding a job. With so many students seeking enrollment, colleges have no incentive to reduce their tuition costs. Housing costs should be going down, and for a while they were – if you were buying a house. After being grossly over-inflated during the housing bubble, home values plunged in some areas. But because of the new, tougher standards lenders imposed it was much harder to qualify for a mortgage to buy one of these newly affordable homes. Instead, the young families who would normally be shopping for their first home had to keep renting and that demand for rental housing has pushed rents higher and higher. Finally, there's the price of gasoline. Since 2005, when hurricane Katrina caused a widespread disruption of refining and exploration activity, commodity traders have found oil to be a volatile and profitable trading vehicle. While it is true that the developing world now competes for a bigger share of the world's petroleum, driving up prices, it is also true that billions of hedge fund dollars have competed in the futures markets with businesses that actually use the oil. Of the four areas, gasoline prices is the one that consumers may feel most deeply. Cohen says soaring tuition and health care costs are not the principal drivers of household financial distress, but they constitute the fastest-growing problem. While these costs are rapidly rising, job growth has slowed to a trickle. Jobs are harder to come by and don't pay as much. Declining incomes make rising costs of health care, education, housing and transportation harder to bear. The middle class hasn't wasted its wealth, Cohen insists. But they now face a lose-lose choice between sustainable finances and access to quality schools, child care, medical care, public safety, and employment opportunities. If you follow the government's Consumer Price Index (CPI), a measure of inflation at the consumer level, you know that the index has been relatively tame since the financial crisis of 2008. The CPI currently rises about 2% per year and the Federal Reserve worries that it isn't high enough. The Fed makes no secret of its desire to see more inflation, which it thinks will boost economic growth. But not everyone thinks that way. Retirees, for example, don't think 2% inflation is all that low. Dotzour has tracked the inflation rate since 2008 and found that consumers who retired that year have struggled in ways the official inflation gauge simply doesn't measure. Within that overall number a lot of things have gone up more than others, and some things have gone down. But the things that have gone down in price aren't the kinds of things that actually help seniors very much. It all has to do with how the Labor Department's Bureau of Labor Statistics (BLS) weights the cost of things. It looks at the cost of everything in the economy and the items that go down in price – like TV sets – tend to balance out the things that go up. Meanwhile, ice cream is only up 5.9% and carbonated beverages have risen just 4.6%. If it's any consolation, Dotzour says prices of clocks and lamps have fallen 27.5% and the cost of dishes and flatware is down 25%. It's all part of a point Dotzour is trying to drive home. “The annual rate of change in prices is not big but the cumulative increase in prices over time is substantial,” he said. The pain is not just felt by seniors. 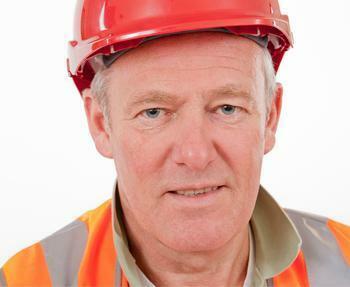 Lots of people who are still working are facing these rising costs without the extra money to pay them. BLS data show disposable income is rising much slower than prices – around 0.2% per month. Prices at the wholesale, or producer level surged a full percentage point in January, the biggest annual gain in more than 26 years. The report from the U.S. Labor Department showed prices were pushed higher by the rising costs of both food and energy. Not surprisingly, consumer confidence is taking a hit. The government's latest measure of inflation at the wholesale level saw a significant jump in January. While the Labor Department has yet to report on the latest inflation number at the consumer level, Adobe's Digital Price Index (DPI) suggests consumers are paying more for things than they were last year, at least when they shop online. 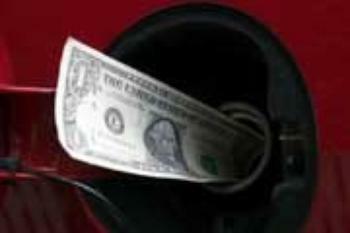 The cost of living moved upward in September, due in large part to rising gasoline costs. According to the Bureau of Labor Statistics (BLS), the Consumer Price Index (CPI) rose a seasonally adjusted 0.5 percent last month and is up 2.2% over the last 12 months. Because of that year-over year bump, more than 66 million people on Social Security will see their benefits rise 2.0 percent next year. 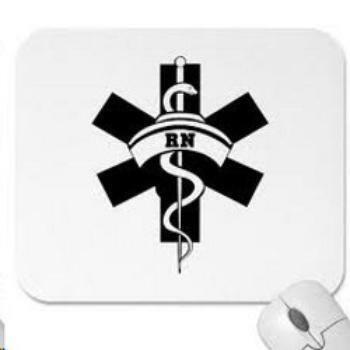 Information on Medicare changes for 2018 will be announced later. Just as consumers are finally increasing their incomes, they face another rising cost. Just about every type of consumer loan is getting more expensive. This week, the yield on the Treasury Department's 10-year bond rose above three percent and appears poised to keep climbing. Even if you don't have money invested in bonds, it could affect you if you're buying a home or refinancing. The cost of the things we buy edged lower on the wholesale level. What the Bureau of Labor Statistics (BLS) calls the Producer Price Index (PPI) for final demand inched down a seasonally adjusted 0.1% in July after rising 0.1% in June and holding steady in May. For the 12 months ended in July, the PPI is up 1.9%. The cost of services dropped 0.2% last month, accounting for over 80% of the decline in the July PPI. It's the first decrease since February. 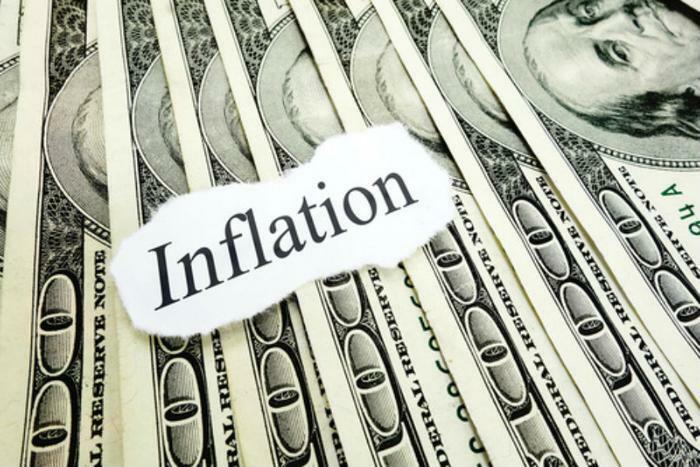 Inflation on the consumer level as measured by the Department of Labor's (DOL) Consumer Price Index (CPI) inched up a seasonally adjusted 0.1% in July as the costs of food, housing, and medical care all headed higher. For the last 12 months, prices are up 1.7%.